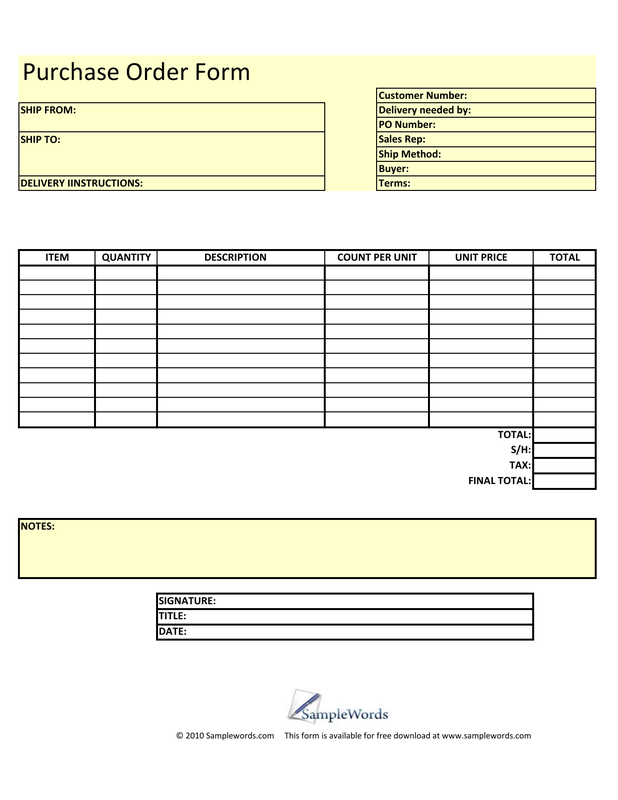 Download the Blank Purchase Order Form Template that is designed to provide an order form for any client. This form is able to be designed for your specific use. Use the template anytime you require a purchase order form. Delivery Instructions – Place any delivery instructions that may assist postal personnel with proper delivery. The individual who has packaged the order must provide signature, their title with the company and the date of shipment.